headaches. Decompression Therapy effectively enhances the healing process and often renders effective and amazing pain relief that enables most patients to return to a more active lifestyle. 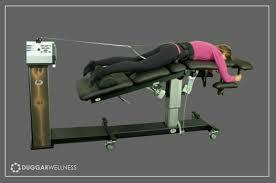 Recently both Dr. Meagan and have become certified in the Kennedy Decompression Technique and are proud to announce that we will have a Kennedy Neuroflex Decompression table in at Core Therapies later this month. If you’d like to know more, visit the Decompression Therapy page on our website. To find out whether this might be a good addition to your treatment plan, please reach out to our office or email me at drmatt@coretherapies.net.